Oh, and thank you Abbie of Kid Gnarly for the wonderful wonderful feature (click on link if you have time to read it hehe). I'm so blessed to have blog friends/readers such as you. :) Keep on inspiring us as well! That's it! See you guys at SMX tomorrow. Don't forget to say hi if you see me! P.S. Join my big giveaway!!! P.P.S. You wouldn't want to miss this! ;) The very 1st Blogger's Bazaar!!! love all the outfit, the first one is so bright!! the second and thrid have to be my favs! love love love all the colors! You are soo cute! I love the blue shoes and the dress with the bows! Love all these looks, but loving the second one especially! You have a great blog and style. love everything! but the color ensemble is my fave! love everything! esp the cardigan. btw, i saw you last night sa PFW :)u looked great! I love all the outfits! I wish I could dress like that. 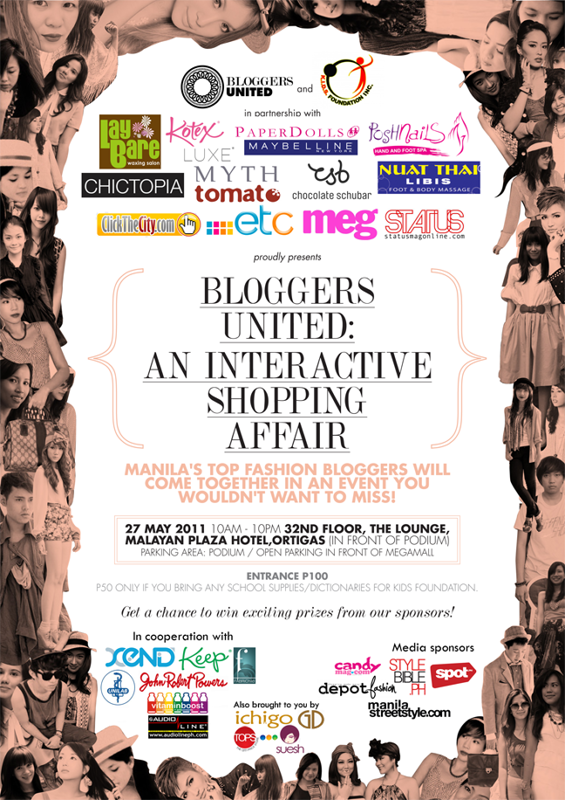 Very excited for the Bloggers United Bazaar. Beautiful outfits (already wrote you on chictopia)!!! Really love your style, dear!! !